View cart “MEHEMED ALI’S EXPEDITION TO DONGOLA AND SENNAAR (1820)” has been added to your cart. In 1877 the Russo-Turkish War was fought not only in Bulgaria and Rumania, but in Armenia as well. This is a first hand account by an English correspondent who accompanied the Turks during this campaign. The work was originally published in 1878. 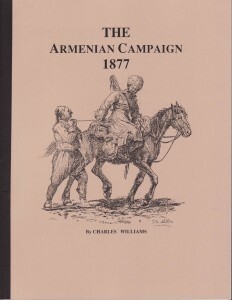 Be the first to review “THE ARMENIAN CAMPAIGN 1877” Click here to cancel reply.